At Judd Fire Protection, our mission is to save lives and protect property. We are a full-service fire suppression company that designs, installs, services and inspects fire sprinklers. We offer the highest commitment to customer safety and satisfaction and we proudly serve both commercial and residential clients throughout Baltimore, Westminster, Maryland, Pennsylvania, Delaware, Northern Virginia and West Virginia. Commercial sprinkler systems are a non-negotiable component of commercial fire prevention. 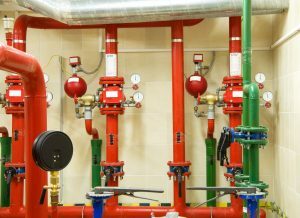 The team of experts at Judd Fire Protection has the expertise and ability to handle every phase of fire sprinkler systems for any project. 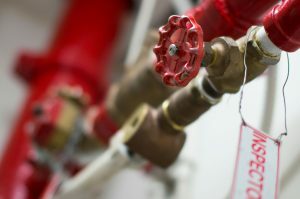 Whether you manage a hospital, school, institutional facility, or a new construction, installing a reliable sprinkler system will provide an important level of protection. We are experienced with special hazards as well as extra high hazard applications. From installation to inspection to routine maintenance, Judd Fire Protection can be there every step of the way. As the first line of defense, fire alarms are another important element of your commercial fire prevention plan. Whether your facility requires a simple smoke detector or a comprehensive networked system of sensors and notification devices, we can supply and install the right fire alarm system that will meet the unique needs of your facility. We offer fire alarm installation, inspection, and service and maintenance to commercial clients. A fire extinguisher can prevent a small fire from becoming catastrophic, but they can only function if they’re in good working order. Extinguishers must be charged and filled in order to provide protection, so it is important to ensure that the ones you keep on hand are ready to fight a fire when they become needed. Most stored pressure fire extinguishers will need to be serviced every few years to ensure they will function properly in the case of an emergency. Our fire safety experts are able to recharge existing units and supply new fire extinguishers when needed. 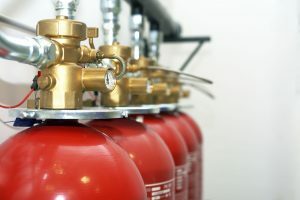 We can also inspect, test, and install fire extinguishers that will suit the needs of your businesses. With five different classes of extinguishers available, it is important to work with an experienced fire safety company that can help you decide the right model for your needs.